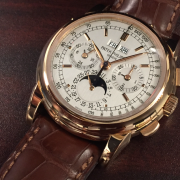 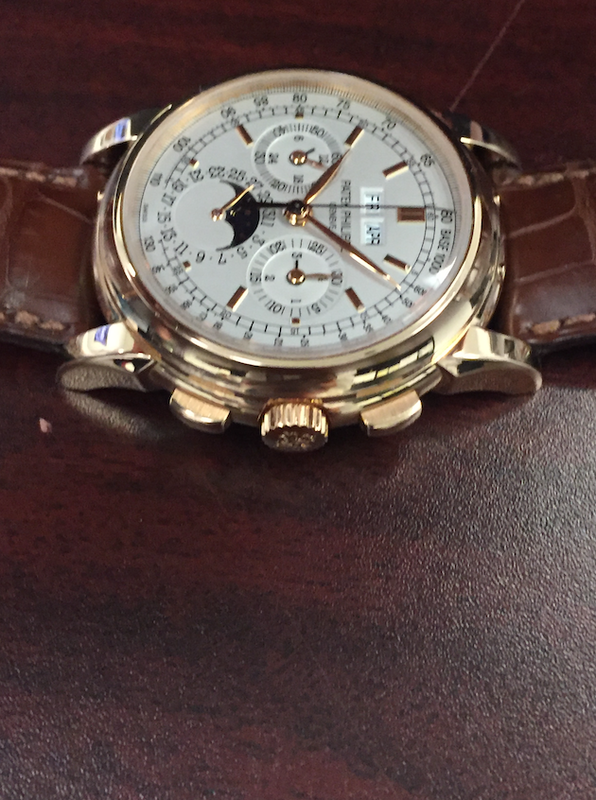 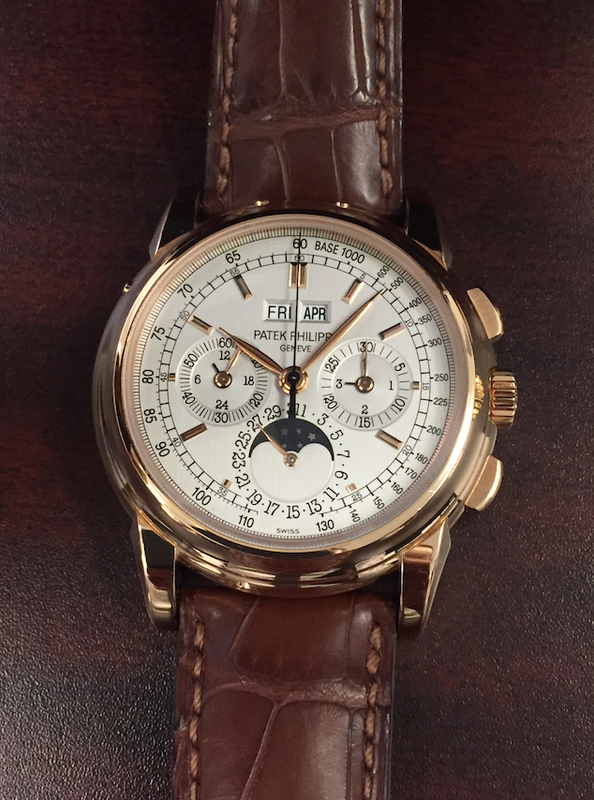 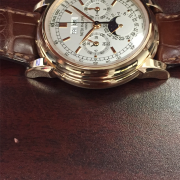 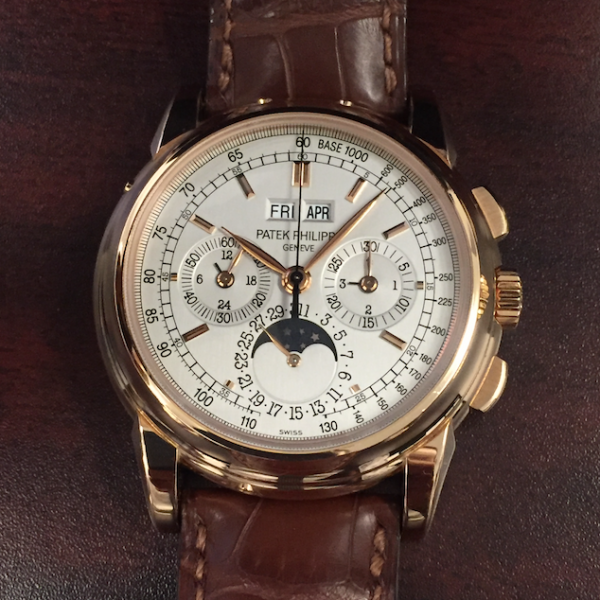 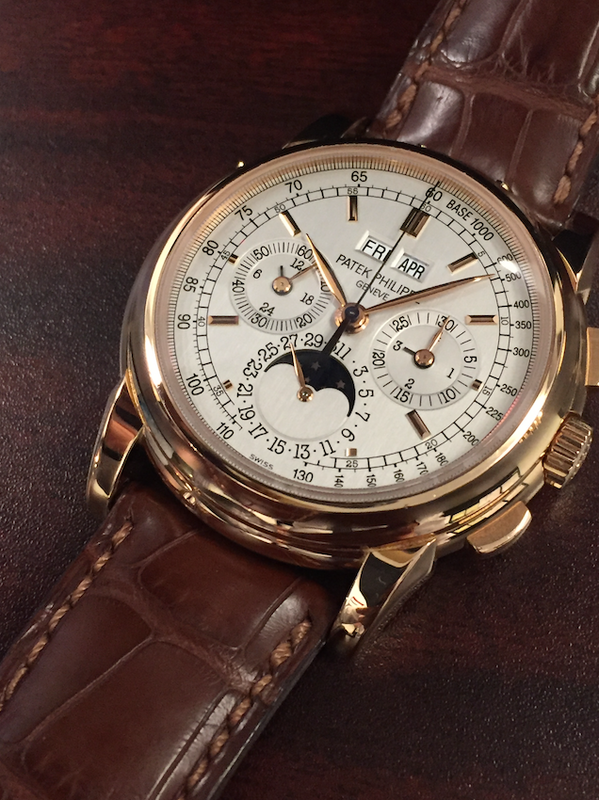 Patek Philippe Grand Complication Perpetual Calendar Chronograph 5970R manual-wind watch, features a 40mm 18k rose gold case surrounding a silver dial on a brand new brown crocodile strap with an 18k rose gold deployment buckle. 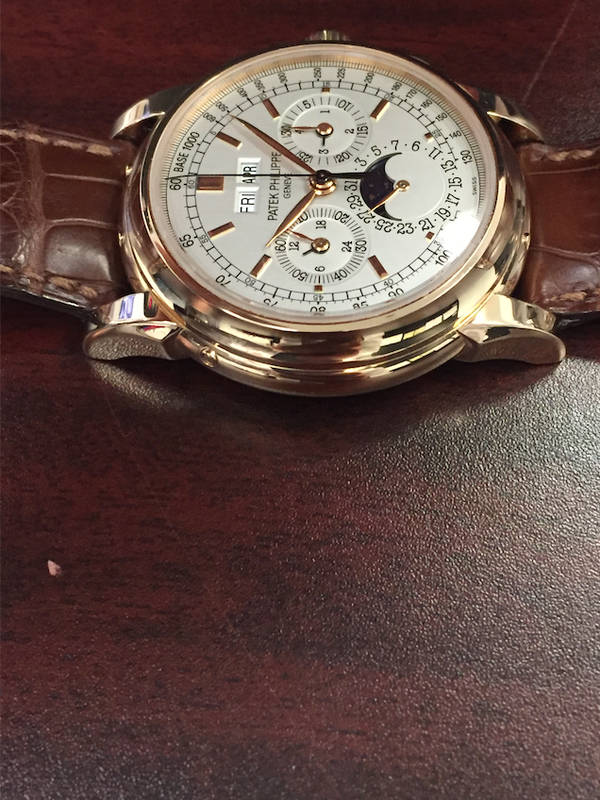 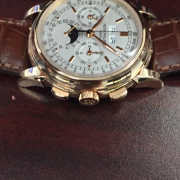 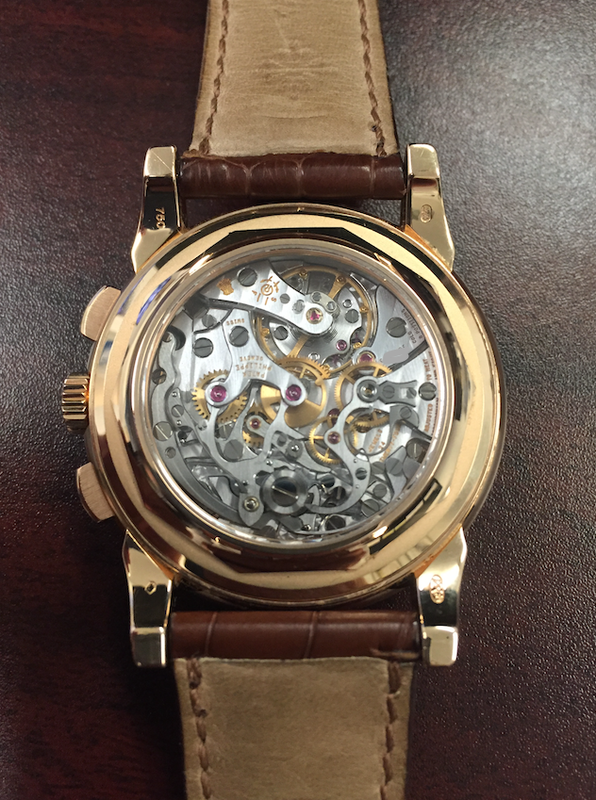 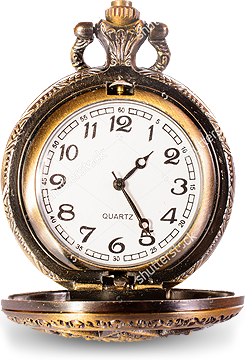 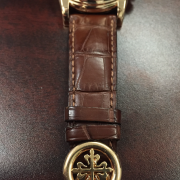 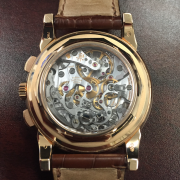 Functions include hours, minutes, small-seconds, day, date, month, perpetual calendar, moon phase and chronograph. 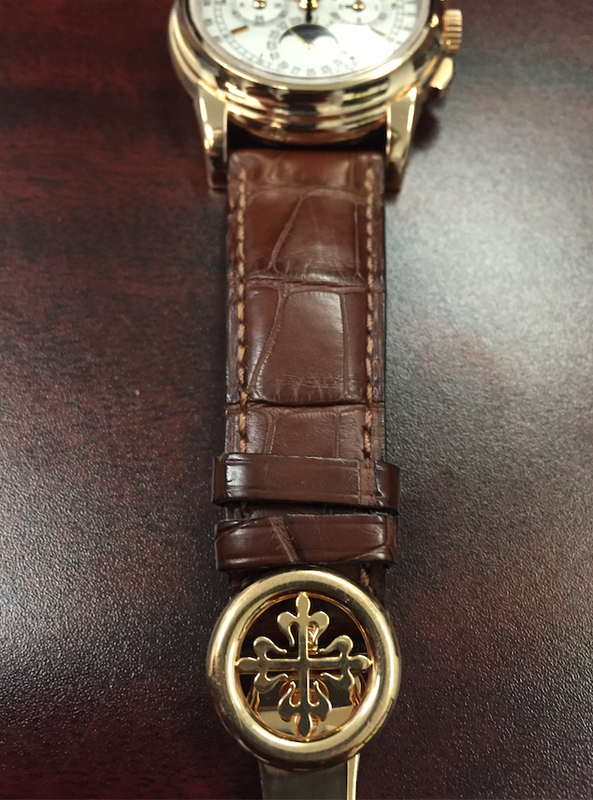 Complete with original certificate, wallet, deployant buckle , stylus.and box.